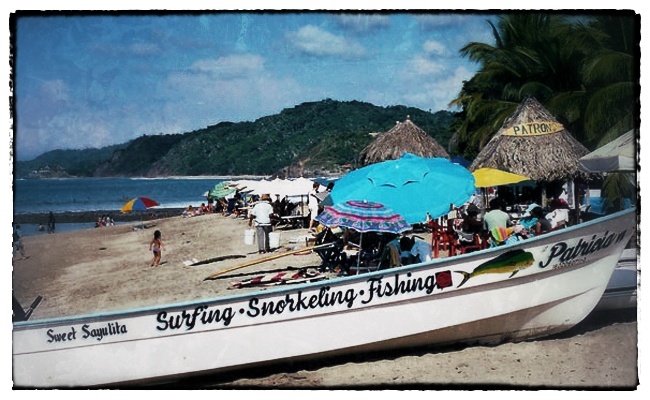 A panga in Sayulita with a dorado painted on the front. The fish used to be prolific in these waters. The other day I was talking with Dennis, who owns Gecko, the rental car company here in Bucerias. Dennis does all the work on the Blue Whale and I wanted to see when I could bring her in for some scheduled maintenance work. Dennis is also a big fisherman so I asked him how the fishing was in the Bay of Banderas. He said it was good—lots of tuna and marlin. “How’s the dorado catch?” I asked him. I found that shocking to hear. The dorado catch a few miles off the coast has always been phenomenal. And now, according to Dennis, there just wasn’t much out there anymore. Which explained why, the day before, when I’d gone to Mega, hoping to pick up some fresh fish to grill for dinner, and had specifically looked for dorado, they didn’t have any. Which really surprised me at the time. Now I knew why. 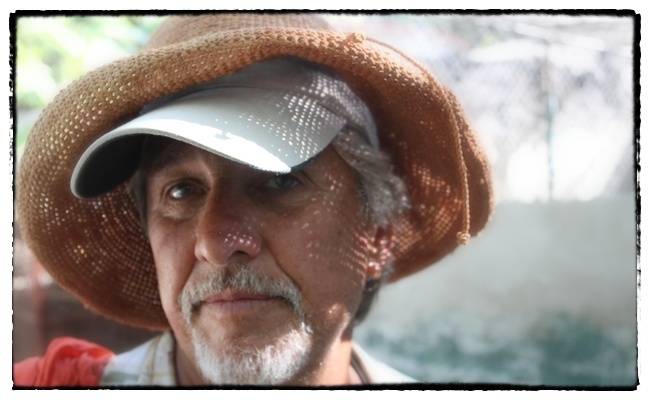 I bring this up because last Sunday, when Jeff and I spent the day in Sayulita, we saw one of the fishing pangas coming back from an excursion with several tourists, all of whom got out of the boat holding dorado. They weren’t particularly large dorado, but dorado none the less. So evidently they’re not completely fished out. Still, it made me wonder if the tourists knew that they had caught fish that are becoming increasingly rare along this part of the Mexican coast. Probably they had no idea. Late that afternoon, as we were preparing to leave, we wandered down to the little fish market close to the bridge. A couple of fishermen were cleaning some shrimp they had brought in that day. Just out of curiosity, I asked them if they had any dorado. One of them nodded and went behind a curtain, coming back with an ice cooler. He opened it up and showed me several filets of fresh dorado. Now here was my dilemma: I knew that dorado were being over-fished. But I was really lusting after one of those fillets. So part of me was going, Don’t buy it; the fishery here isn’t sustainable. The other part of me was going, They already caught the dorado; if you don’t eat it, someone else will. In the end, we bought it. And it was even better than I’d hoped. But I can’t honestly say that I really enjoyed it. A group of local surfer girls pass by me on the beach at Sayulita. Photo by David Lansing. 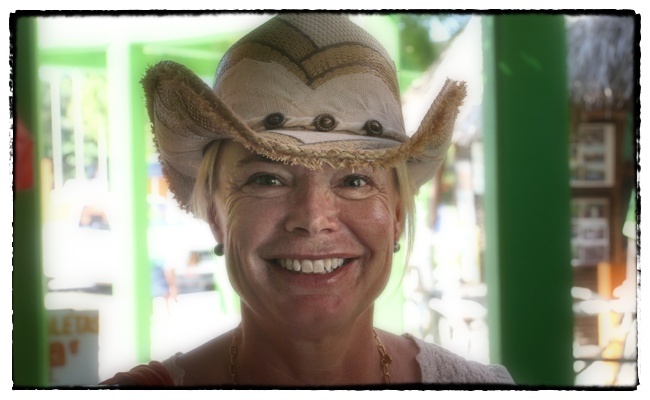 Sunday we decided to make one last visit to Sayulita. We set up our beach chairs at our usual spot in front of Don Pedro’s and waited for the clouds to clear before getting in the water, but it never really happened. At one point, it even started raining a bit. No one paid any notice. Abuelita might hold a folded newspaper over her head but other than that the children continued to throw sand at each other, poppa snored in his chair, and the wild dogs ran up and down the beach barking at each other. 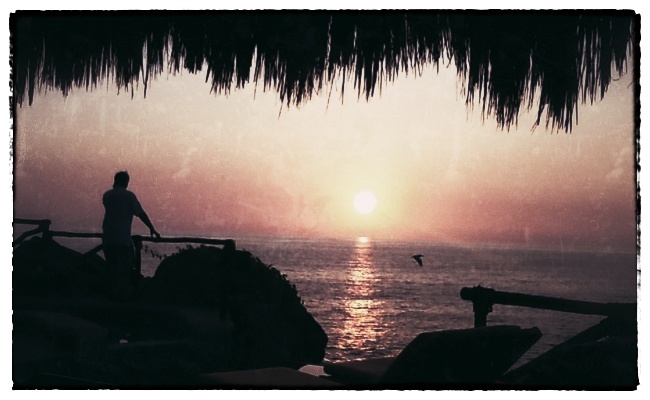 On weekdays and Saturdays, Sayulita is populated with snowbirds from Canada and plump teens from the States, as well as the odd doughy English couple or rasta heads from all over the world, but Sundays the beach belongs to Mexican families. Any other day, you’ll see nothing but white kids getting their first surf lessons here, but on Sundays, the water is filled with nut-colored boys and girls, mostly local, getting free (or highly discounted) surf lessons from young Mexican instructors. It’s wonderful to see. At one point, when it looked like the sun might actually make an appearance, I waded out in the surf and bobbed not far away from a surf class where a young woman was teaching four chicas, no more than 15 or 16, how to surf. The girls screamed and giggled the way young teen girls do, but they also caught quite a few waves and did quite well. I talked to their instructor in the water for a few minutes. She told me the girls were her personal project. “When I was growing up here, you never saw any young girls in the water,” she said. “They were too intimidated.” In fact, she’d learned to surf in California after moving there as a young girl with her parents. But a few years ago, she’d moved back to Sayulita, and now she wanted to give these young girls something she’d never had here—confidence in the water. “There is no reason they can’t surf here as well as the boys,” she said. Then she turned her attention to one of the young girls who was paddling hard to catch a modest wave. The girl got ahead of it, lifted herself quickly up off her board, and gracefully rode the swell all the way in to the beach. It was a lovely to see.